SPRINGFIELD, SC (WOLO) – A Springfield man arrested earlier this month for criminal sexual conduct has been arrested once again, this time for murder. 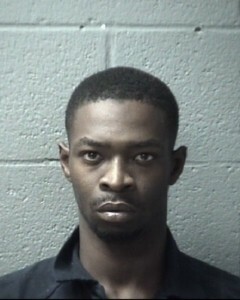 Michael Corbitt, 25, now faces a murder charge with a scheduled first court appearance on Tuesday (1/15). He was arrested following a weekend shooting incident on Samaria Road just outside the city limits of Springfield. Authorities found a man dead inside his car with gunshot wounds. According to an OCSO arrest warrant, shell casings at the scene matched casings found at Corbitt’s home. Investigators also found out Corbitt had been seen with the victim moments before witnesses heard gunfire. Corbitt was charged on January 3, with first-degree criminal sexual conduct, kidnapping, first-degree assault and battery, and carjacking in connection with a September 23, 2018 assault. Click here for more information on that arrest. He was out on bond when the shooting incident happened.